Samsung company faced a huge loss after launching their new smartphone Galaxy Note 7 because many phones very blasts in different places and many peoples were injured. 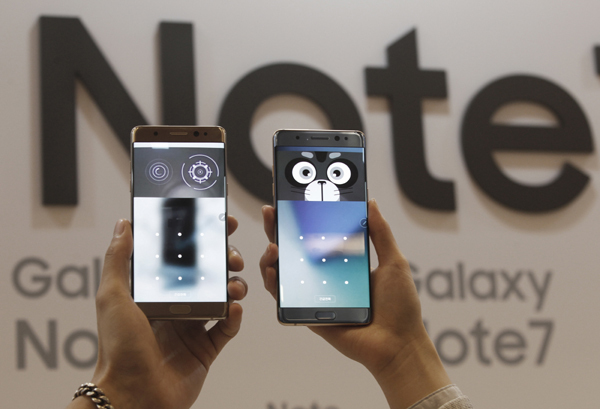 After many tests and researches, the Samsung company has reported the reason of Note 7 incidents and answers all questions in a session held in Seoul city in Korea. The Samsung company faces many losses not only in smartphones but in all other electronic of Samsung, which include manufacturing TV panels and semiconductor chips for others. The companies smartphone business was pressured so they Invest 128 Million dollars in Battery Division to improve battery safety so they can come back with best quality phones. To discover the main reason of the Galaxy Note 7 blasts, Samsung examined each part of the Galaxy Note 7, Through a huge scale testing office where around 700 Samsung specialists and architects repeated the occurrences by testing more than 200,000 completely collected gadgets and more than 30,000 batteries, After many months and all tests Samsung at last finished up and came up with the reason.